Robin Gluchacki has over 20 years experience in the healthcare industry. As Associate Consultant with Medical Management Services, Robin merges extensive experience in multi-specialty clinical coding with comprehensive knowledge of third-party payment methodology to provide incisive analysis of physician reimbursement patterns. 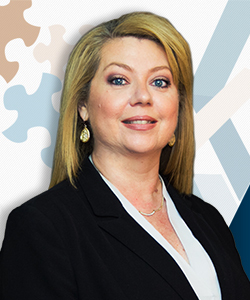 Throughout her career, Robin has acquired experience in third-party physician billing, coding, compliance auditing and education as well as the development and management of reimbursement professionals. Her background has cultivated an expertise in educating physician practice leaders in the area of denial management and enhanced reimbursements. Robin earned certification as a professional coder in 1999 and in healthcare compliance in 2005. She is an active member of Healthcare Compliance Association (HCCA), Healthcare Compliance Resources (HCR), and American Academy of Professional Coders (AAPC) where she previously served as a local chapter officer.